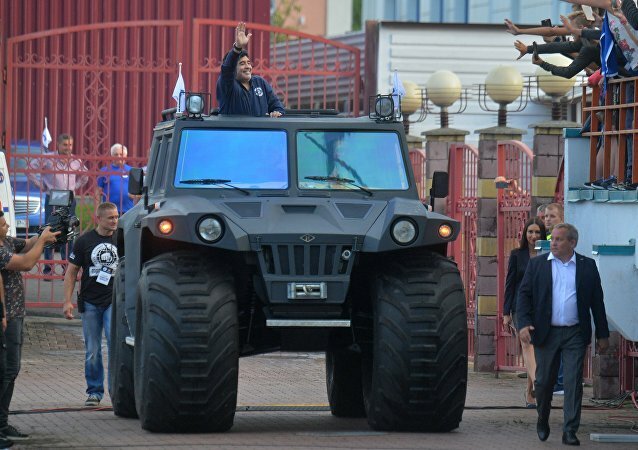 The Argentine icon, who recently chaired Dinamo Brest, went all Lenin as he paraded all the way to the club's stadium, greeting fans and cheering for his side ahead of the 16th leg of the Belarusian football championship. Military observer Andrei Kotz takes a look at some of the latest and greatest military hardware and equipment on display at the ARMY-2017 military expo currently underway outside Moscow. 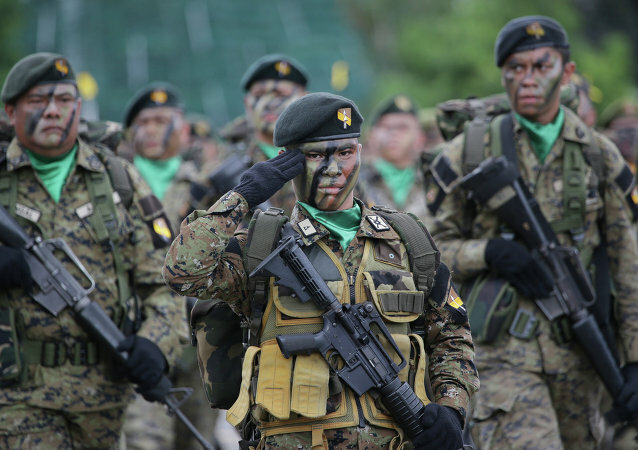 The Philippines hopes for long-term defense industry cooperation in Russia which would involve supplies of helicopters and armored vehicles, Ambassador of the Philippines in Moscow Carlos Sorreta told Sputnik on Wednesday. Lebanese Defense Minister Yacoub Sarraf said that the Lebanese Army is interested in buying Russian military buggy vehicles and armored personnel carriers in order to use them in counter-terrorist operations. Activists of Russia’s Military-Technical Society crossed the Kerch Strait in two BRDM-2 amphibious armored personnel carriers on July 23. The event was dedicated to the liberation of Crimea from fascists. Several nations in Latin America are looking to the United States for help in modernizing their fleets of armored vehicles, according to a press release by the US Army on Wednesday. Russian Airborne Troops will soon be bolstered by new mine-resistant, ambush-protected Taifun armed vehicles. 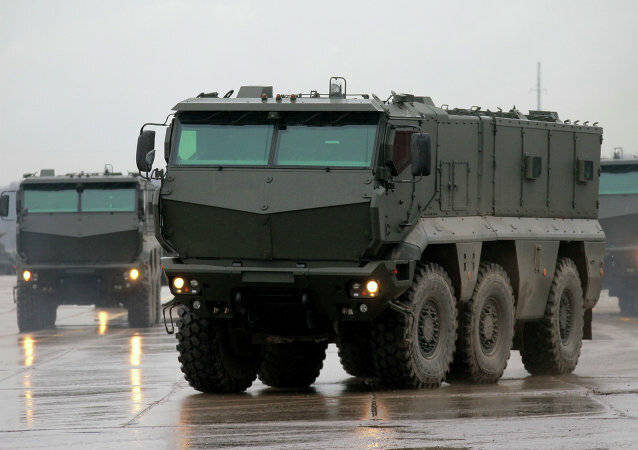 Turkey deployed its domestically produced, next-generation Cobra 2 armored vehicles to ensure security on the Turkish-Syrian border, Turkish Hürriyet newspaper reported. The T-90S is a modified, export-oriented version of the legendary Russian T-90 tank. It has both attack and defense capabilities. The Latvian Defense Ministry’s press service reports that the first group of US M1 Abrams tanks and Bradley infantry fighting vehicles arrived on Wednesday in Latvia as part of the Atlantic Resolve operation. 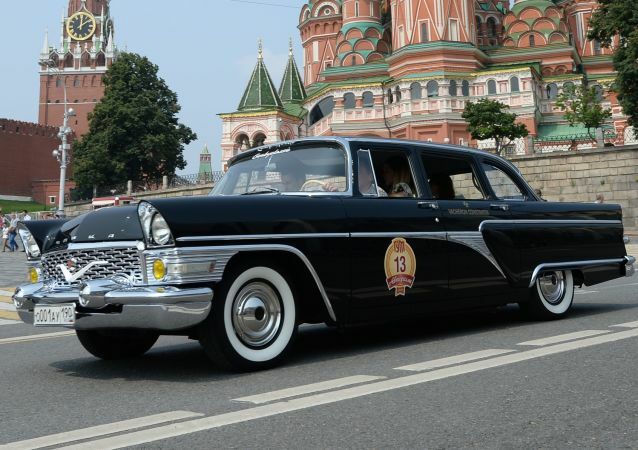 This year, Gorky Automobile Plant (GAZ) celebrates 85 years since the start of production in 1932. Ukraine has lost its military-industrial potential and is unable to create a domestically made aircraft, according to Sergey Pashinsky, head of the Ukrainian parliament's Committee on National Security and Defense. 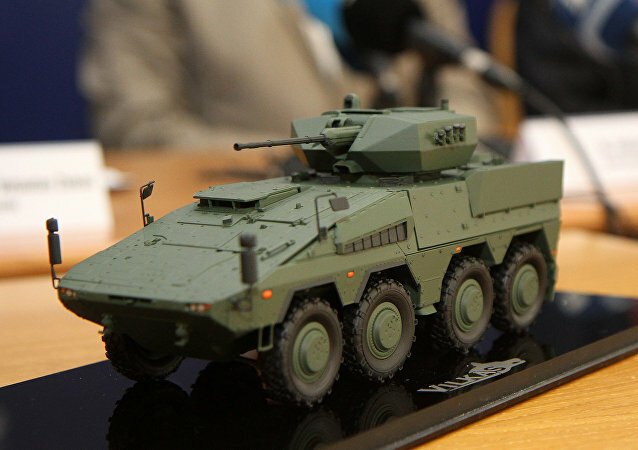 Lithuanian Defense Minister said that ministry signed a contract worth 386 million euros ($436 million) with the German armored vehicle technology company (ARTEC) for the procurement of 88 Boxer armored fighting vehicles. The latest modifications of Russian-made Tigr all-terrain armored combat vehicle recently underwent a series of trials at the Arzamas Machinery Plant testing range. 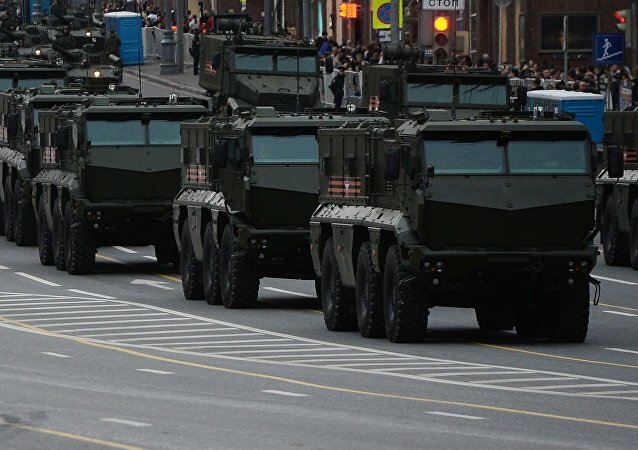 An RT correspondent spent six hours inside the cabin of a Typhoon-K, a sophisticated Russian armored vehicle; there she was able to view the rehearsal for the Victory Day Parade in Moscow. The first mock-up model of a new Russian assault armored vehicle for use during training is already in production, according to Russian Airborne Troops chief Vladimir Shamanov.